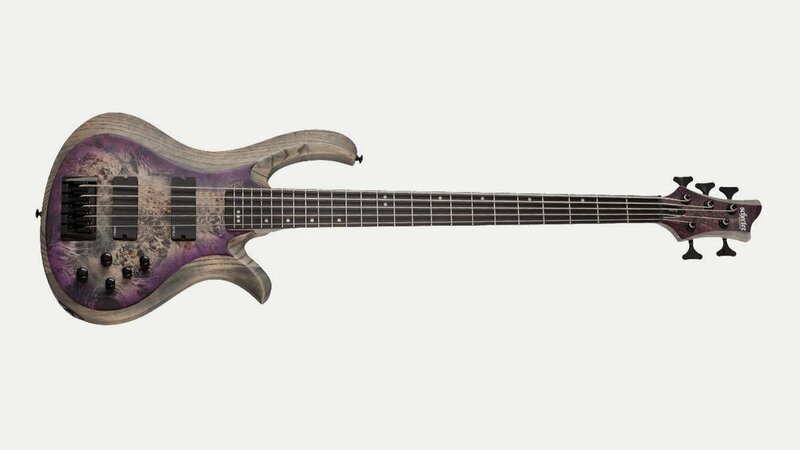 Schecter Guitar Research was founded in the US in 1976 by David Schecter and produces a range of electric guitars, bass guitars and steel-string acoustic guitars. Originally Schecter produced only replacement parts for existing guitars from manufacturers such as Fender and Gibson, introducing in 1979 its own fully assembled electric guitars. These guitars were custom shop models based on Fender designs. By 1983 Schecter had reached its custom shop production limit and was sold to investors who increased production. In 1987 it was sold to a Japanese entrepreneur, Hisatake Shibuya, who also owned ESP Guitars, who returned the company to making expensive custom shop models. In 1997 production was moved to South Korea; the high-quality, affordable guitars made here are shipped to the US to be set up by the Schecter shop, which still produces custom models. One of the company’s strongest assets is its growing roster of high-profile artists including Disturbed, Avenged Sevenfold, The Cure, Papa Roach, Seether, Prince, Stone Temple Pilots, Nevermore and Black Label Society.